Paul Soulellis is an artist and educator based in Providence, RI. His practice includes teaching, writing, and experimental publishing, with a focus on queer methodologies and network culture. In late 2018, Paul launched QUEER.ARCHIVE.WORK, an urgent act of publishing that’s radical, messy, and future-looking. The first issue featured contributions from 14 artists and writers, including Allison Parrish, Nora N. Khan, American Artist, and Unity Press. Paul begins issue #2 while in residence at the Internet Archive in January 2019. Paul is also the founder of Library of the Printed Web, a physical archive devoted to web-to-print artists’ books, zines and other printout matter. Paul has curated, designed and published print-on-demand publications that have featured the works of over 200 contemporary artists. By the time the project was acquired by MoMA Library in 2017, the Printed Web had evolved to become an important resource for the study of print-based experimental publishing in the early 21st century. Paul is faculty at the Rhode Island School of Design. and a contributing editor at Rhizome, where he curates The Download. Crisis conditions have infused every aspect of culture and society with doubt, but the role and efficacy of art and design as a means for change is still debated. Can artists and designers loosen power? Paul's talk emerges from this question and will speculate on new strategies for resisting normative design practices, including radical publishing, queering design, failure, and collective care. 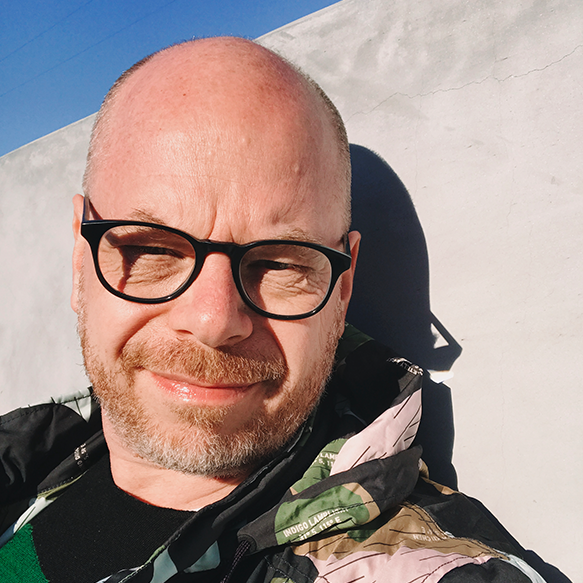 He’ll share learnings through new projects like QUEER.ARCHIVE.WORK, a collaborative publishing effort, and URGENCY LAB, an experimental pedagogy for art and design education. Urgentcraft sketches out a position (in relation to institutions) and a set of tactics (for getting to work). It’s a signal sent out into muddy waters — a way to speculate and imagine a more just futurity in art and design.